If you are addicted to alcohol, the only viable solution if you want your life to get better is to give up drinking for good. The challenge is not stopping the behaviour but staying stopped. There are a number of reasons why you may struggle with sobriety, which is mostly to do with unhelpful patterns of thinking. Below are 10 other things you need to quit in order to build a strong sobriety. Addiction creates physical changes in your brain; it will not to be possible to undo these changes. This means that, no matter how long you remain sober, you are unlikely to ever develop the ability to drink safely again. Maybe if you relapse you will show some control for a few weeks or months but eventually you will end up right back where you started – in fact, the situation is likely to be even worse. If you see getting sober as a way to learn how to drink safely again, it will mean that you are not going to be fully committed to this new life. Your sobriety will be weak and you may just be looking for an excuse to relapse. If you want to stop drinking for good, you need to fully commit to this new life. There will always be many reasons why you cannot quit alcohol and build a better life. It can seem an impossible challenge that will require too much commitment. The reality is that anything significant in life will appear as challenging as this. Those who succeed in recovery have all the same excuses for failure as anyone else but refuse to focus on these excuses. It is only by putting attention on the things that need to be done to succeed that one can develop the better way of living that they deserve. If you have becoming addicted to alcohol, it does not put you in a very good bargaining position when it comes to the future. 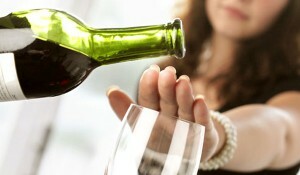 If you continue drinking then your life will keep on deteriorating, but if you stop it will get better. Putting conditions on your sobriety includes things such as only agreeing to do it if it means your wife/partner will take you back, or that you can get your dream job. The way it usually works is that whatever condition you put on your sobriety will then be the excuse you later use to relapse. It is likely that others have treated you unfairly in the past, but focusing on these bad events is not going to help you get sober. Past events may have led to your current situation, but it is you keeping yourself in this situation. It is vital that you stop focusing so much on the part others played in your life and start taking responsibility for your own future. Nobody else can get you sober and nobody else can cause you to pick up the next drink – you have to take responsibility. If you compare yourself to other heavy drinkers, you are likely to find individuals who seem to be worse off than you are. You may be tempted to use this observation to play down the significance of your own behaviour. This would be a mistake. The reality is that, unless you are able to stop drinking, your life will keep on deteriorating and the alcoholism will eventually kill you. It matters not if you are a high functioning alcoholic at the moment. You are dealing with a life and death condition, so it is vital that you take things seriously. One of the things that happen because of being caught up in addiction is that you begin to develop unhealthy thought patterns. This means you start seeing the world in a way that supports your behaviour. You are also likely to experience a great deal of self-loathing, and your low self-esteem could mean that you accept your current situation is all you can hope for. The way to stop believing in these unhelpful thoughts is to start examining them more objectively. The idea that you can go it alone is dangerous because it means you have a reduced chance of breaking free of addiction. Overcoming alcohol addiction can be a tough challenge, but millions of people have done this already. There has also been a great deal of research into treatments for the condition. Does it not make sense that you would want to make use of all this experience and scientific knowledge? The most common reason why individuals want to go it alone is that they are not serious about giving up. One of the most common justifications people have for remaining caught up in addiction is the belief that sobriety will be boring. This idea arises due to the process of cognitive dissonance. The person who is caught up in addiction knows that their life would be better if he or she quit drinking but does not believe he or she can quit. In order to escape this cognitive dissonance the person decides that recovery will be boring any way. This type of response to cognitive dissonance is common in many areas of life – for example, those who have never been to university may believe that university students are somehow lacking in common sense or some other attribute. The key to building a strong recovery is to have an open mind. During those years when you were caught up in addiction, you are likely to have picked up some unhelpful ways of looking at the world, meaning that a lot of your thinking will be working against you. It will be a great help if you could develop enough humility to question all of your thinking. Listen to what others have to say and try to avoid just dismissing things out of hand. If you are going to be entering a rehab programme, you need to develop a beginner’s mind so you can get the most out of this experience. In order for you to enjoy a better life away from addiction, you are going to have to do things a lot differently than you are now. Sobriety requires that you completely change your life because, if you keep on doing the same things, you will keep on getting the same results. This is why recovery is often considered a process and not an event. Giving up alcohol is just the first step in a process that will eventually lead you to happiness and fulfilment.